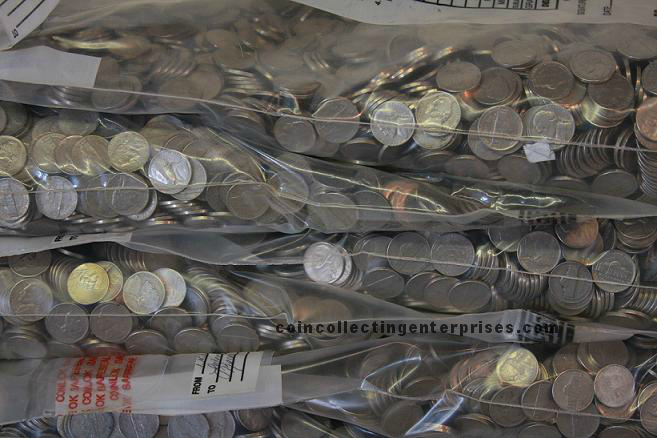 Nickels are ideal for the investor looking to gain the maximum “face value insurance” on their investment. Face value insurance means that the nickel is worth five cents ($0.05) and will never be worth less than five cents to the dollar, giving you a higher backup plan than a copper penny, which is never worth less than one cent to the dollar. Consider investing in nickels to be the ultra-safe method of investing in the copper market while being backed by the value of the U.S. dollar in the form of the five cent nickel. You won’t get nearly as great a return as copper pennies, however, the nickel and penny weigh nearly the same amount in copper, except with the nickel, you will have more security knowing you can turn in each coin for five cents as opposed to one cent.